Free Darth Vader pin while supplies last and free shipping. Plus, a bunch of brand new designs! Use promo code BLACKMAGIC to get 20% off* orders of $40 or more. 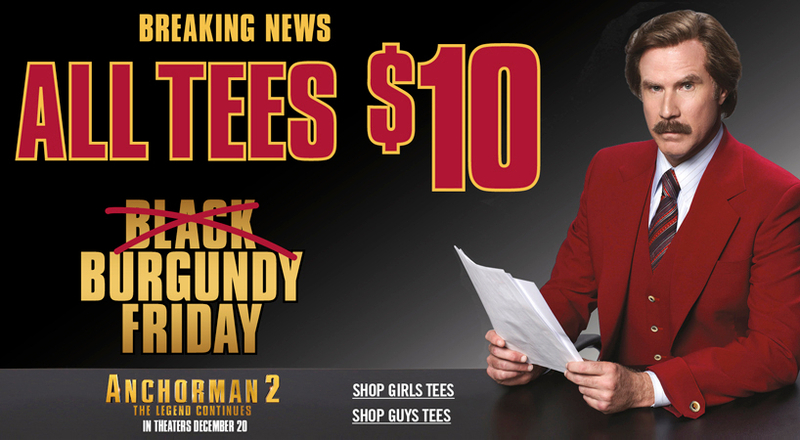 25% off to 15% off all tees plus more sales throughout the weekend! Use the code EXTRA50 for an extra 50% off sale items. Some of their Bats and Cats Collection items are on sale! Great deals and up to 75% off. $18 for women’s tees and $5 off bags and totes. They will also have deals throughout the weekend. Great sales on graphic tees up to 65% off. Buy one and get the second one 80% off. You can find some of their comic and Marvel related gear here and here! 30% off everything and free shipping on orders over $50. If you’re going to hit one sale, definitely don’t miss out on this one! They have multiple licensed items for sale at 30% off. Check out the full list here. 25% off to 15% off all tees and art prints. I’ll update this post as I run across new sales. 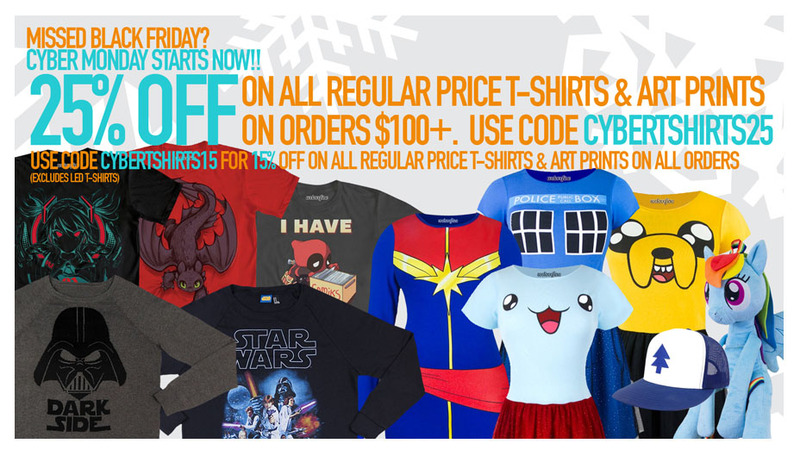 If this list has proven anything, tis’ the season to be a geek and shower your loved ones with geek chic gear!